The elections and their runoff for the first ever peaceful transformation of power in Afghanistan took place amid tight security on April 5th and June 14th 2014. However, despite a vow by insurgents to disrupt the election process by targeting electoral bodies in the run-up to the vote, militant forces largely failed to deter the electorate. In fact the Taliban's threat aimed at preventing Afghan citizens from casting their vote appears to have in some cases had the opposite effect and actually motivated them to take part in the first and second round of elections. The large turnout in the elections and subsequent run off came as a response from the Afghan population who wanted to show that they are against insurgency and terrorism and that they are in favour of democracy. The men, women, older voters and the younger generation of Afghanistan all cast their votes to show their faith in democracy and their desire to further consolidate those who believe in democracy as an appropriate model for Afghan society. A survey published by the Fair Election Foundation of Afghanistan (FEFA) a week before the vote asked the Afghan people about the elections and democracy. According to the survey, 92 percent of those asked said they supported the principle of elections and more than 75 percent said they would participate in the 2014 elections . The report raised expectations among the candidates and electoral bodies of a large turnout on April 5th and the subsequent June runoff. This article is a desk study of the electoral process and outlines the participation of women in the 2014 presidential and provincial council elections. The piece attempts to analyze whether the 2013 electoral law supports the participation of female politicians or creates restrictions on women; it looks at the facts and figures on female voters and candidates; it looks at what motivated such a large turnout by men and women and finally addresses the challenges faced by women in these elections. The presidential and provincial council elections have been interpreted as the most significant elections in the modern history of Afghanistan. With President Hamid Karzai constitutionally barred from running for office again, this election could be the country's first ever peaceful and democratic transformation of power in which an elected president replaces another. Inclusive and transparent elections that reflect the will of the voters will play pivotal role in political stability of Afghanistan beyond 2014. The turnout of thousands of the people at polling stations in April and June provides a crucial opportunity for a new government to boost public confidence, and to correct ineffective and corrupt governance. It will also shape the ability of the new government to overcome the current challenges of insecurity, peace negotiations, corruption, injustice and economic development. The deteriorating situation in 2014 and possible return of the Taliban to power has been a concern for young and old, as well as the women of Afghanistan. Many fear that the gains women have made in recent years could be lost. The transition process has overshadowed many lives, creating anxieties (especially for women) that in the absence of the international security forces and with an inept Afghan National Security Force the situation might revert to the way it was in the 1990s. This led to many people transferring money out of the country, many elites going into exile, and fewer job opportunities. By casting their vote, the men, women, the young and old of Afghanistan hope a peaceful transformation of power to a new president and the formation of a strong and democratic government can overcome these concerns about 2014 and beyond. Women in particular proved they could play a pivotal role in the political transition by participating across the country in the April 5th elections and the runoff on June 14th. A significant turnout by female voters in this election has shown that they are realizing their self-determination and are capable of shaping power along with their male counterparts in society. That means the new government will have to take certain crucial issues pertaining to women into consideration; it will have to prioritize and reflect the needs and demands of women, and address them in an effective and appropriate manner under the Tokyo Mutual Accountability Framework (TMAF), and implement the Elimination of Violence against Women (EVAW) Law and monitor its progress. This involves approving and enforcing the family law (which has been stuck with the Ministry of Justice for more than three years) and adopting legal protection mechanisms to reduce violence against women, and promoting civil and women's rights. In short, the new government can neither afford to ignore women's political interests nor fail to capitalize on their contribution to the peace negotiations during the era of transition and transformation. Officially there are no legal obstacles to women participating in politics in Afghanistan. The Afghan constitution provides equal rights to men and women before the law and asserts that all citizens shall have the right to elect and be elected. In addition, the constitution foresees a quota system for female representation in parliament and recognizes positive discrimination when it comes to women's rights in politics as well as ordinary laws. Although much improved, the 2013 electoral law failed to shore up female political participation in provincial councils and the presidential election. The previous electoral framework allocated 25 percent of provincial council seats to female candidates, something that had a positive impact on female representation in the last two provincial council elections. But in an inconceivable move, the Wolesi Jirga (the lower house of parliament) surreptitiously removed the designated quota system for female representation on provincial councils from the draft law. The Meshrano Jirga (upper house of parliament) reinserted it again, albeit in a reduced form. After lengthy debate between the two houses and several joint meetings of the Wolesi Jirga and Meshrano Jirga, they eventually agreed on a 20 percent quota for female representation on the provincial council. The electoral law stipulates that, “at least 20 percent of the seats of each provincial council shall be allocated to female candidates” . The reduced number of seats allocated to women candidates on the provincial councils, as well as the limited responsibility of the councils, led to fewer women participating in the provincial council elections. The 2013 electoral law removed the monitoring role of provincial councils leaving provincial council members only with an advisory role. As a result the number of women candidates was lower than in previous provincial council's elections. However, the Independent Election Commission (IEC) has introduced several measures to encourage and support female candidates at provincial level e.g. by reimbursing deposits for women who do not win, providing financial support for campaigns and providing training for both male and female candidates. The 2013 election law has done nothing in favour of promoting female presidential candidates. It sets out tough candidacy criteria for presidential candidates, which work against women who are interested in running for presidential office. According to the FEFA Observation Report the major factor for fewer women nominating themselves to run in the presidential election are the new candidacy criteria. Any candidate who fails to obtain ten percent of the total vote and provide 100,000 voting cards and signatures from at least 20 provinces (Article 13 of the electoral law) must file a deposit of one million Afghanis (approximately 17,500 US dollars). This is a major obstacle for women who do not have sufficient financial support. Consequently only one woman registered as a presidential candidate during the whole process – that’s compared to almost ten qualified women who had been poised to register as presidential candidates before the new election law came into effect . The electoral law discriminates against female candidates and the only female candidate who did plan to run for the presidential election was disqualified by the IEC as not meeting requirements. According to estimates by the IEC, 12 million people were eligible to vote in the election on 5th April 2014 although IEC has distributed 21 million voter cards since 2003. The IEC website indicates that over 3 million voter cards have been distributed since May 2013 and 35 percent of these were issued to female voters. Male and female polling stations in Afghanistan are segregated and so 8,573 out of 20,795 polling stations were set up for females to openly cast their vote. The Ministry of the Interior recruited 13, 690 female body searchers and trained 581 female police officers and 2,245 female body searchers to facilitate the participation of women in the election . People formed long queues to cast their vote to elect a successor to President Karzai and 485 provincial council members across the country. According to preliminary estimates, more than seven million votes were cast. Speaking at a press conference, the IEC Chief Ahmad Yousuf Nuristani said that there were 64 percent male votes and 36 percent female in the first round and 62 percent male and 38 percent female in the runoff . Compared to the 2009 presidential and provincial council elections turnout in the 2014 elections has been quite high - well above the 5.9 million people who turned out to vote in the 2009 election (cf. Andrea Fleschenberg, 2013). Of 27 presidential candidates, 11 were qualified to run in the elections by the Independent Electoral Complaints Commission (IECC) on November 20th 2013. Three of the 11 presidential candidates withdrew. The only female presidential candidate running for office was disqualified by the IECC although three women ran for vice-president in the April presidential elections . The dearth of female candidates for the presidential office shows part of a disappointing trend when compared to previous elections: in 2009 there were two female presidential candidates and in 2005 one female candidate ran for office . The electoral law stipulates that the IEC should conduct a runoff election between the two lead candidates if none gains 50 plus one percent of the total votes. Since none of presidential candidates achieved 50 plus one percent of the vote the election went to the second round between Dr. Abdullah Abdullah, who received 45 percent of the vote, and Dr. Ashraf Ghani, who received 31.5 percent of the vote. At the provincial level, 114 provincial candidates including 12 female candidates were disqualified, and the number of provincial candidates decreased to 2,590 of which 297 were female candidates . The number of female candidates in the 2014 elections is lower than in the 2009 elections in which 328 women stood for a place on provincial councils. The provincial council candidates contest 485 seats across the country of which 96 have been reserved for female candidates. One improvement in this round of elections compared to the 2009 elections is that around 70 percent of provincial candidates are young people, reflecting the significant role of the younger generation and its interest in the political process. IEC spokesman Noor Mohammad Noor told TOLOnews "This time, the majority of the provincial candidates are young people" . Together with the older candidates the ambitious young female and male candidates are promising equality, they're raising the voice of women, calling for accountability of the government, for justice, and want to ensure a better future for all Afghans. The nomination of young female candidates is a great achievement even if it's only happening largely in major cities. It shows that the country is moving from a traditional community towards a democratic society and that new ground is being paved for Afghanistan's younger generations, especially the women, to find platforms and take positions in public office. Afghanistan is regarded as a very traditional country and tribal beliefs and customs are major obstacles for women participating in civic and social affairs including politics. Many inhabitants of rural areas are against women participating not only in social activities and but also in elections. Both female voters and candidates face gender-specific challenges, including cultural constraints and security-related issues across the country. These challenges impede their ability to campaign and to benefit from the opportunities to which they are entitled. Insecurity: The lack of security is one of the obstacles faced by women voters and candidates and was one of the main concerns for many people. According to the FEFA Observation Report on voter registration, the Taliban had warned people in a number of provinces against cooperating with IEC and standing in provincial council elections. In some provinces, the shortage of security personnel at voter registration sites directly resulted in the limited participation of women, with people too intimidated to register due to the security threat. The security situation thus had a negative impact on the registration process and on the level of participation in a number of provinces. FEFA also revealed that the location of the female polling station near to a US military base in Maidan Wardak province meant that women's concern about the security threats stopped them from voting there. Therefore, the security threat was a major constraint not only on female candidacy but also female voters. The inadequate security situation also meant female candidates could not openly walk around and talk to their constituents during their campaigns, making it difficult for them to publicize their programs and get support. Ahmad Yousuf Nuristani of the IEC told reporters on Election Day that the insurgency threat had led to the closure of almost 900 polling stations. Cultural constraints: Cultural and structural limitations are the most significant factors affecting on female participation in elections and civic social affairs. In Afghanistan there's a widespread belief that women should not see, speak and interact with men they do not know, and likewise, the majority believes a woman's place is in the home, and not engaging at a social or political level. This negative trend definitely has an impact on females studying and working in the society. It also meant that in a number of the provinces, the IEC was not able to find female workers to staff the polling stations to facilitate the voting process for women during the election. Instead the IEC appointed elders to do the task of female election workers . Tribal beliefs and customs hamper women in social-political affairs. The reports indicate that in a number of provinces such as Nuristan and Zabul female candidates were reluctant to put their names forward until the last week of registration because the registration centres were only operated by men. Only in the final week of the registration did the IEC establish segregated registration centres so that eligible women could put their names forward for provincial councils. In the end two women from each province appeared on the final list of provincial candidates. Unfortunately, another obstacle impeding female participation is the cultural custom that dictates that females cannot display their own photos on voter registration cards, and consequently their brothers, fathers and husbands often vote for them. In another report on voter registration, FEFA revealed that the voter registration centres in some provinces were not appropriate for women. 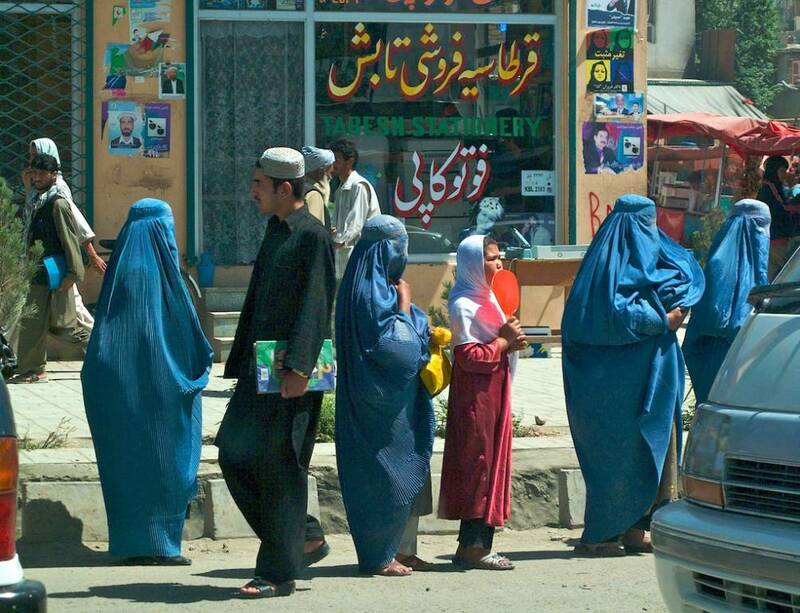 For instance, the female station in Zabul province was located in a crowded area prompting many women to leave without even receiving their cards. Despite the insurgent violence, which claimed many lives, Afghanistan has had a successful election. The Afghan citizens proved that they want peace, security and a democratic government. Female participation was outstanding in the 2014 presidential and provincial council elections. However, there is a long way to go before women can genuinely participate in civic and political life without fear of discrimination and intimidation. At the very least the images of female candidates alongside the male contenders on placards in towns and cities show social change is taking place in Afghanistan. A large turnout by Afghan citizens especially women will certainly go some way to increasing their social acceptance in Afghanistan’s traditionally patriarchal society. FEFA Observation Report on the Candidates Registration Process of 2014 Presidential and Provincial Council Elections, October 2013. UNDP/ELLECTII Presentation, Information Sharing Session, UNAMA Compound, 30 March 2014.